It’s 1930, in Nottingham, and Raleigh (the bicycle company) had the rights to produce the “Ivy Karryall”. This vehicle was basically a three-wheel van using the front forks, engine and fuel tank from a Raleigh motorcycle. It was a simple but effective vehicle that was ideal for small companies needing a cheap, reliable and easy to fix van where the load size, and weight, were modest. Raleigh rebranded an up rated version of the Karryall, in 1931, as the Raleigh Light Delivery Van, or LDV. This vehicle now had a 598cc motor and could carry a load of 560lb, so it was titled as a 5cwt. While the arrival of much cheaper cars, like the Austin Seven, caused a lot of problems for the cyclecar and motorcycle and sidecar firms, the law still allowed favourable tax conditions for three-wheeled vehicles. A Raleigh LDV carried a road tax cost of just £4 a year, and it could be driven by a 16-year-old, extending the role of the delivery boy (and his range) from a bicycle and basket to a van, and a big load. However, Raleigh wasn’t really committed to motor vehicles beyond their motorcycle range. 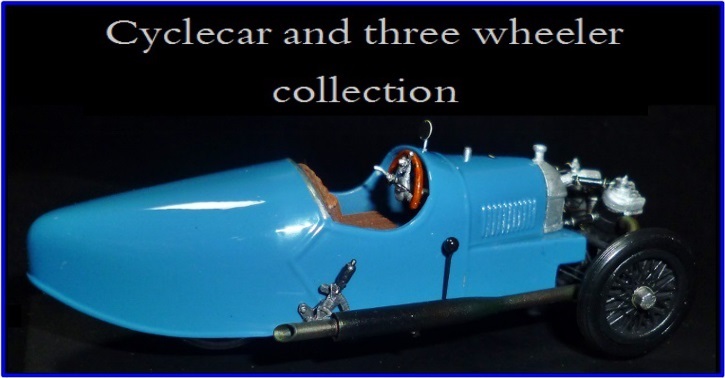 Although they had developed a range of very nice three-wheeled vehicles. 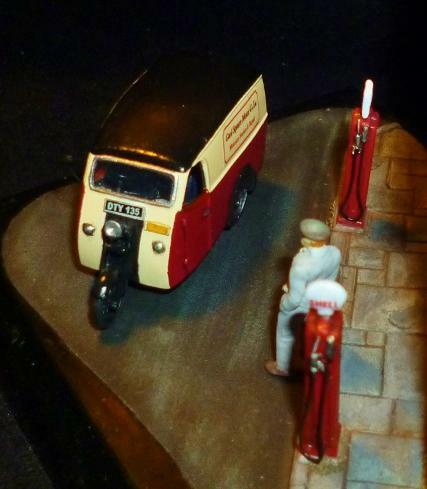 Raleigh decided to stick to their own world and gave up the LDV and all other motoring activities around 1936. Raleighs’ dip into the three-wheel world had brought together some very good engineers. These gentlemen could see Raleigh’s interest waning and they knew well the potential of the vehicles they had developed for the company. Chief Designer for Raleigh's Motor Department, Tom Lawrence Williams had experience working for motorcycle firms like Triumph and Dunelt before joining Raleigh and he was the man who decided Raleigh were wrong to think about closing down the vehicle side of the company. In the summer of 1934 he resigned from Raleigh and set up his own design office in his back garden in Kettlebrook, Tamworth. As Raleigh’s motor department fell away more and more of the company’s engineers started to approach Williams to talk about his firm. One that stands out is E.S. 'Tommo' Thompson. Thompson had been the repair shop foreman at Raleigh and he was committed to the venture alongside Williams, so much so he moved his whole family across from Nottingham to Tamworth! Together Williams and Thompson constructed a prototype during the Autumn of 1934. It had a 600cc JAP single cylinder air-cooled engine at its heart with chain drive to the rear wheels and handlebar steering. Many of the parts were actually purchased from Raleigh. Having good fuel consumption of 45mpg and a top speed of almost 50mph the little van had a nice niche of its own in the van market. 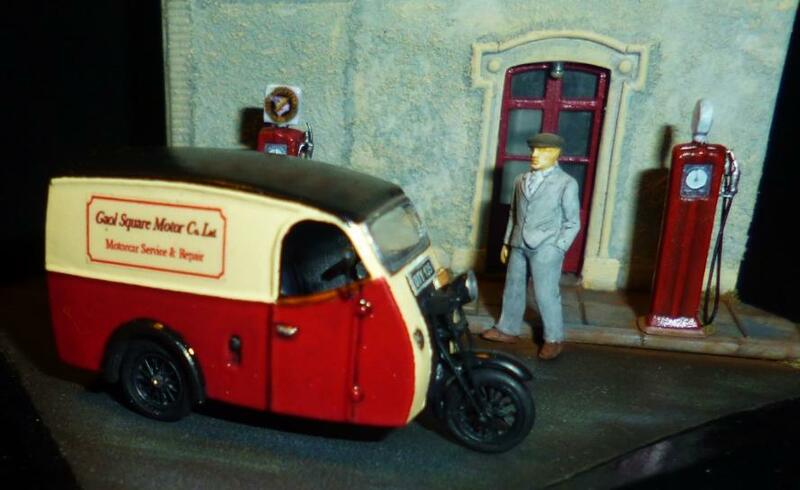 Williams and Thompson took their little vehicle, a design still much like the Raleigh Karryall van, out to local firms gathering the opinions of these potential customers; they were pleased by the responses. Development continued resulting in a sleek body of aluminium panels over a hardwood frame carried on a steel chassis. It still had a central driving position but a steering wheel was now used over the earlier handlebar steering method. The van had a 7cwt rating and space of up to 62 cubic feet. The first prototype was licensed in January 1935 and during 1935 the 7cwt Reliant prototype was tested by “The Commercial Motor” magazine who reported an average fuel consumption rate of 54.4mpg, simply astounding for a van! Rumour has it that the Reliant name was born out of the need to cover the letter R, from the Raleigh works, stamped on so many of the vehicle’s parts. 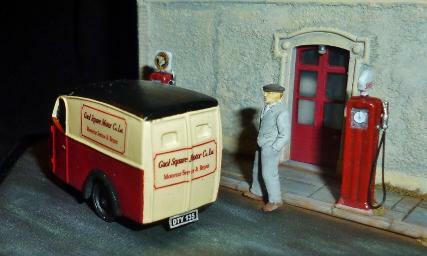 True or not the first Reliant went on sale on the 3rd of June 1935. Mr. Williams was able to rent an old Midland Red bus garage and an old boot factory off the A5 on the south side of Tamworth, an area known as Two Gates. “Tommo” Thompson and an employee named “Baden” Powell, built an assembly, line of sorts, through the Spring of 1935. 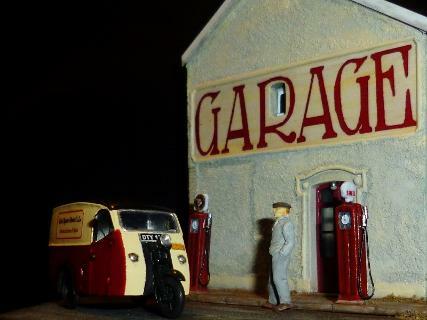 To help fund the project the little firm installed two kerbside petrol pumps on the A5. 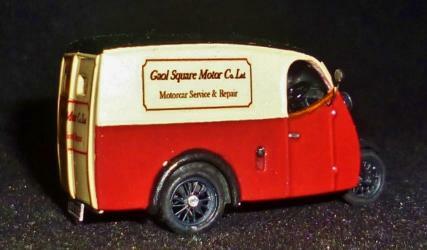 The Reliant Engineering Company (Tamworth) Limited was up and running. Sales of the Reliant 7cwt 'girder-fork' van rose through the summer of 1935 as recognition of the vehicle’s ability spread, but the lack of power was a repeated complaint from customers. In March 1936 the twin cylinder water-cooled engined version went into production. This vehicle also had a change in the driver seating position which moved to the right as is conventional for the UK. Now uprated to carry 8cwt the first of this model was sold on March 16th 1936. The J.A.P. V-twin had a capacity of 747cc providing 18 bhp. Cooling was by water and radiator, drive to the rear wheels was now by shaft making the mechanicals a little quieter overall. Motorcycle style kickstarters gave way to electric starters and as Reliant had now begun fabrication of the body panels ‘in house’ quality control improved the vehicle further. Having their own body work shop also allowed for alternative body styles to be made available. 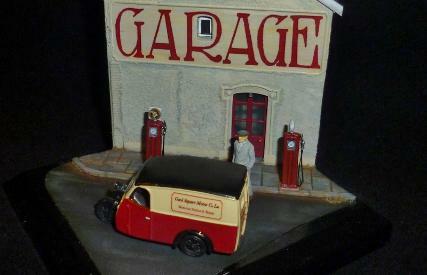 The range grew to include a pick-up and flat truck alongside the van. This model was a sales success and production rose from around 4 vehicles a week in 1936 to 9 or 10 vehicles a week in 1937. 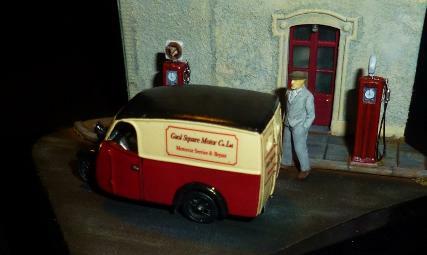 Reliant was a minnow in the motor industry but it was building a reputation which started to attract the fleet managers of parcel companies. The London, Midland and Scottish Railway (LMS) purchased 4 of the vehicles for their express parcels service fleet. Williams and Thompson continued to look at the market needs and received many comments from customers. Featuring a four-cylinder 7hp Austin side-valve motor the Reliant 10cwt came on line in response. Austin dropped this engine soon after but allowed Reliant licence to manufacture the engine themselves. The initial 10cwt was sold from the 12th of March, 1938. Reliants’ development of the engine, after Austin stopped production, led to the 747cc side-valve unit raising power output to 14bhp @ 3,500 rpm. The first of these was finished on the 3rd of September 1939, only a few minutes prior to the declaration of war. During WW2 the Reliant works were turned over to war production. Apparently, the firm turned out 1.5 million parts in their war effort. This included Norton motorcycle frames, parts for Alvis and Armstrong-Whitworth as well as some items for the prototype Jet engines being developed by Frank Whittle. If Reliant was unable to continue production of their vehicles, the vehicles themselves were becoming sort after on the second-hand market. By law unnecessary journeys were prohibited; only essential users, such as doctors, could run a car at that time. However, this law did not extend to Motorcycles and the three wheeled Reliant vans fell into this category, as did the cars from BSA, Morgan and the older Raleigh “Safety Seven” three wheeled cars. After the Second World War Reliant went back into vehicle production and over the next three decades provided us with memorable vehicles in the van and car market. Think Delboy’s Yellow “Trotters independent traders” three-wheeler and of course the Reliant Scimitar four-wheel sports/GT car. Although no longer in production, and with the Tamworth works levelled and turned into a housing estate, Reliant hangs on only as a fading memory kept alive by a small number of loyal devotees to these increasingly rare vehicles; and the street names on said housing estate. Reliant does not have the cache of Rolls-Royce or the sporting heritage of Porsche, but they made reliable vehicles that did the job at an affordable price. In doing so they found a place in the heart of the communities of the UK and, thanks to Television, the World. 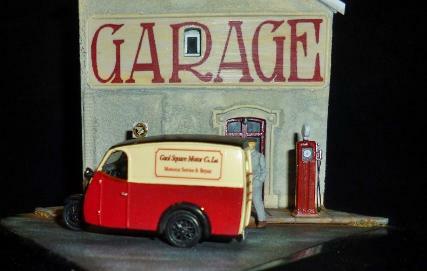 Autocraft white metal kits are simple to assemble and have a lot of unusual vehicles in their range. 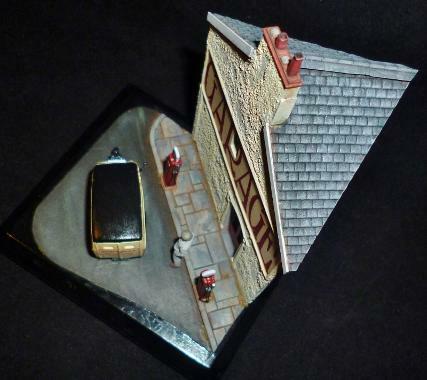 Available online and via auction sites they represent good value for money and give a good-looking reproduction of the vehicle aimed mainly for dressing model railway layouts. 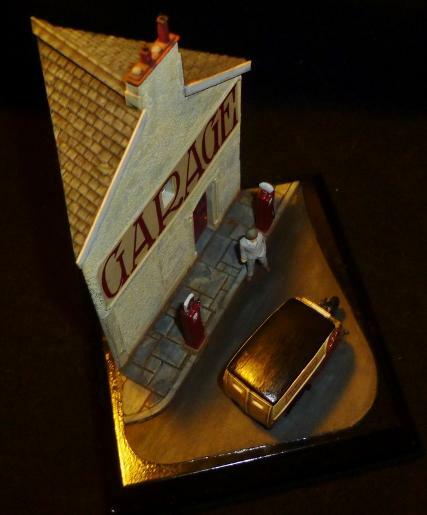 If you like a challenge then by adding extra details the models can be turned into very interesting little display items, as this model shows. Ian spoked the wheels with fine wire on scratch-built hubs, rebuilt all of the front suspension to create a more to scale unit and make the details sharper than the castings on the original. Decals were designed on a laptop and printed on a clear decal sheet using a normal home inkjet printer. 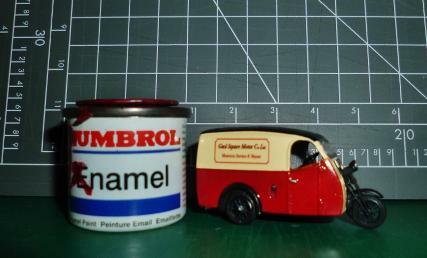 The vehicle is painted with AlcladII primers, Deco-Art acrylics and Zero Paints colours and gloss clear. The background building used to exist in Stafford, Staffs’ UK but was pulled down to make way for road improvements in the 1970s. 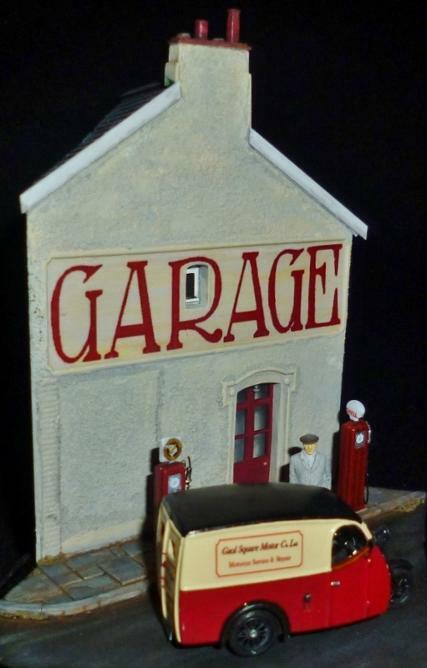 Over 60 years of garage history was lost in an instant and few people can remember the Gaol Square garage as it was back in the 1940s. The building was built from scratch and the pumps converted from a commercially available one which was moulded so that multiples of the same unit could be cast to match the available photo’ references. All of the diorama is painted with Deco-Art acrylic paints applied by brush. The decals are again home printed and applied over ‘Klear’ floor polish, sealed with it then matt varnish applied over all to temper the sheen.